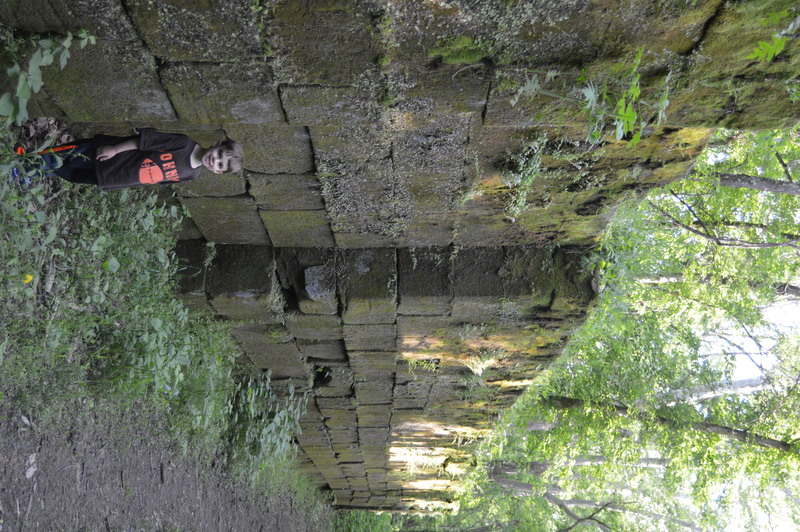 Central Ohio has a secret and that secret is Blackhand Gorge State Nature Preserve. 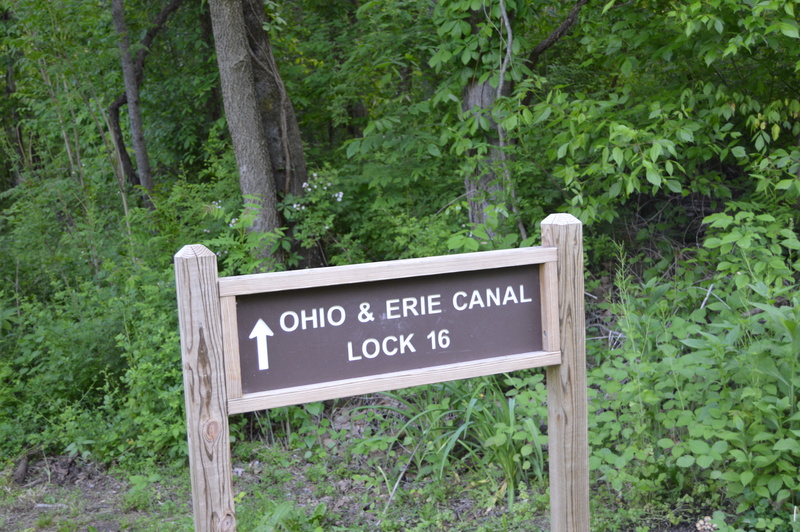 Well-known for its 4-mile bike path, the area also contains other hiking trails as well as a portion of the Ohio-Erie Canal. Although I’d been there a handful of times before, this was the first time I even knew that the Canal path existed! Since we had walked the bike path many times in the past (it’s also great for strollers), this time we decided to do a different trail. And because Mommy (i.e. Me) wasn’t paying attention when we started walking, we ended up on the 2-mile Marie Hickey trail. I was a little concerned about the boys getting too worn out, but they persevered — and of course, I carried Olen for the last 1/4 mile! 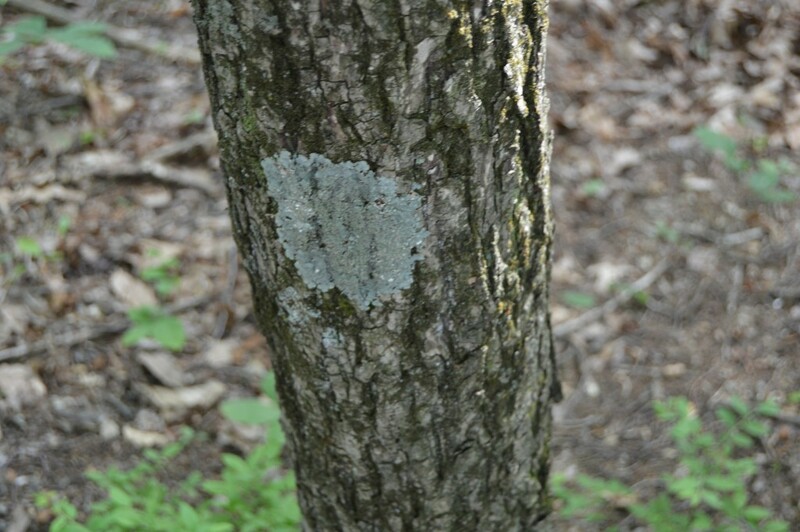 The Marie Hickey trail and Oak Knob trail are accessed by the North Parking lot. Check out the ODNR website for thorough directions- you’ll want to print and take the map with you- trust me! The trail had a slight grade uphill at the beginning, but nothing little legs could not handle! 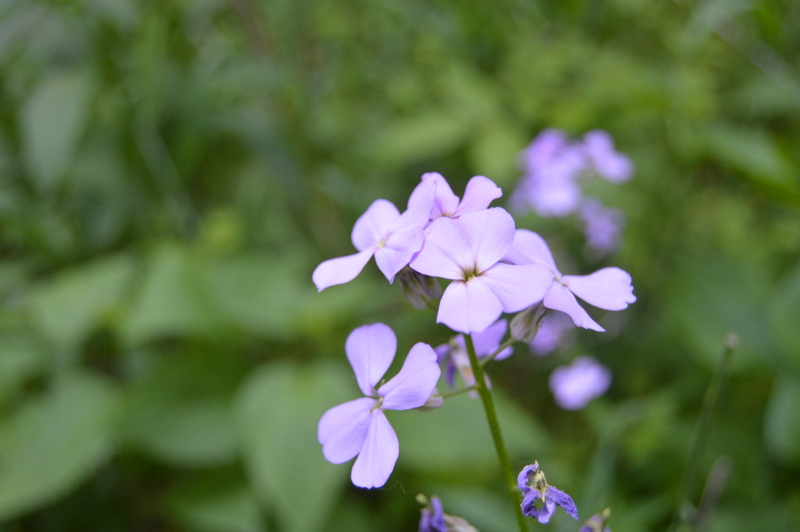 Spring wildflower season was ending, but we did get to see a few blooms. I’m also not sure who was more excited about the “monkey vine,” my husband or the boys! There was lots of excitement and talk for the next few days about this bad boy. Lol. My two blondies. Love those smiles! I will be honest, there wasn’t a lot to “see” on this hike. A small waterfall and stream. A glimpse at the new railroad bridge. 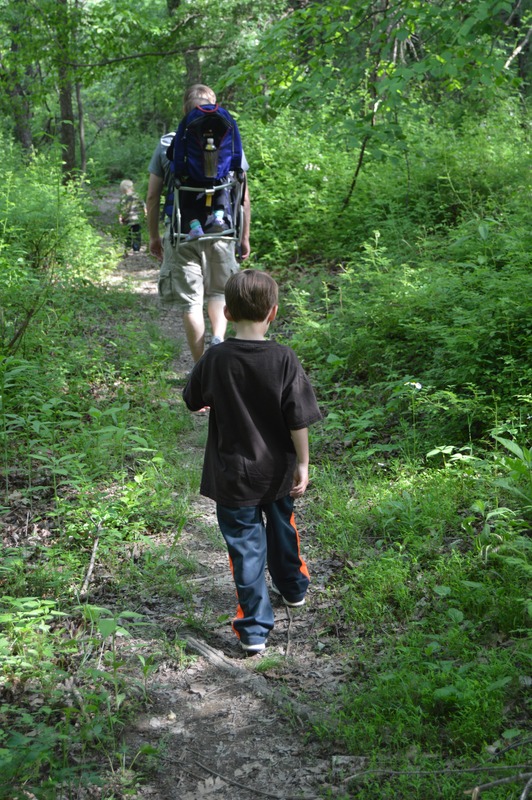 But if you are going to Blackhand for some quiet and time away from the city, then the Marie Hickey trail will be great for your family! After finishing the 2-mile trail, we climbed into the van and headed to the main parking lot near the town of Toboso. The Canal Lock trail is just across the bridge from there. The ODNR brochure says this is only a .1 mile trail, but the sign at the trail entrance says it is 1/2 mile. I’m really not sure, we only walked to the lock and back and it took us about 5 minutes to walk there one way. 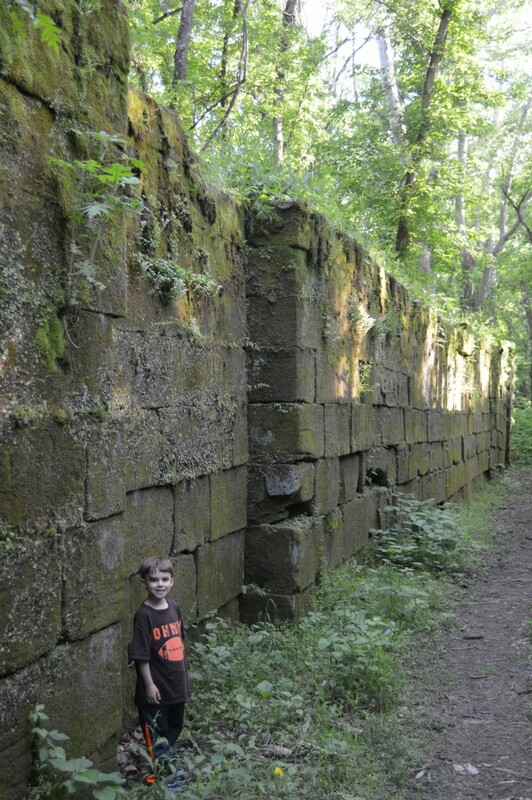 The Canal Lock is an amazing piece of history. And you don’t realize how large it is until you are standing next to it! I would have stayed longer, but by this point, the little ones were hungry and tired and that’s a lethal combination! This trail is mostly flat except for the steep hill to go down into the old canal. You could definitely push a jogging stroller on the main trail if need be. And, as if you need one more reason to hike, here’s my WHY. 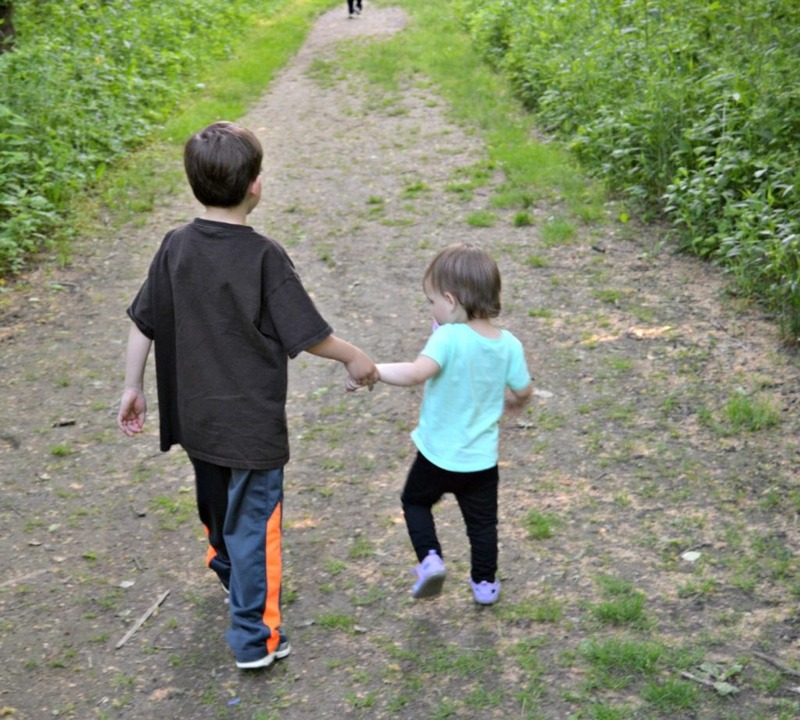 Hiking always fosters a great sibling bond between my little ones. They encourage each other. They walk together. There are no toys, TV shows, or graham crackers to fight over. It’s quite blissful (sans the tired whining). 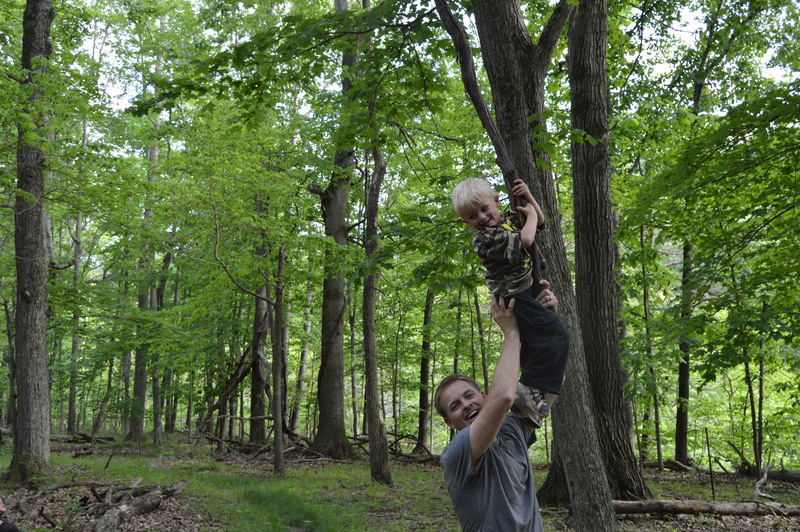 I encourage you to take to the woods– and Blackhand Gorge would be just the place to go. 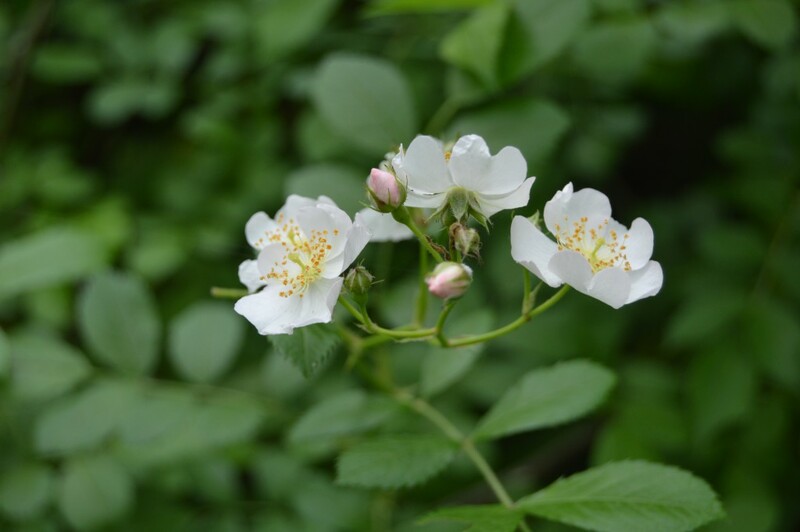 Have you been to Blackhand Gorge? What’s your favorite trail? Have you added it to your Ohio Bucket List? P.S. Blackhand Gorge is approx 50 miles from downtown Columbus, OH off of Interstate 16. It is 35 miles southwest of Coshocton, OH, also via 16.